Yesterday night was the final of Got To Dance 2013 and ten acts battled each other in an explosive dance-off in front of 6,000 people at London's Olympia, for the chance of winning the £250,000 prize. Ruff Diamond, Gymtasia Evolution, Tom Hughes-Lloyd, Lukas McFarlane, Mini Moves, Rhys Yeomans, Rory O’Shea, IMD, Godson and Antics gave the performance of their life in the final live show. The judges, Ashley Banjo, Kimberly Wyatt and Aston Merrygold, reviewed the performance of each act, awarding precious gold stars, but it was once again up to the public's vote to decide which artist deserved the whopping prize. 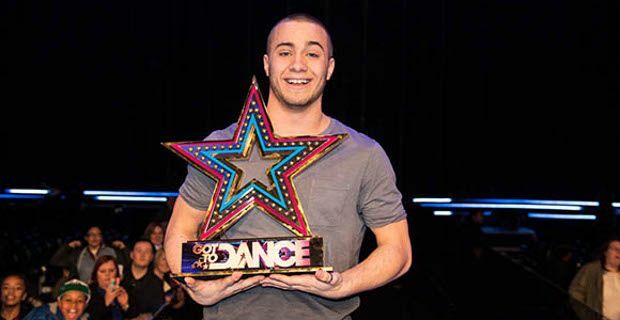 And the public chose the very talented Lukas Mc Farlane to win this year's edition of Got To Dance. The ten final acts offered a very entertaining and energetic routine each, before the lines opened and the voted were counted. Davina McCall then announced the three acts who received the most votes and who had to perform again in yesterday's second live show, Ruff Diamond, Gymtasia Evolution and Lukas McFarlane. Despite pulling off their best moves and some epic and polished stunts Ruff Diamond didn't manage to win the public over. The guys danced in perfect sync as always and were praised by the judges. Acrobatic group Gymtasia Evolution wowed the crowd as well with their combination of dance and high-flying gymnastics, proving that their dream to become the next Cirque de Soleil is not that far away. We are absolutely happy for him, he was one of the strongest contestants and he deserved to win!